This topic contains 1 reply, has 2 voices, and was last updated by Anonymous . Welcome to this Forum devoted to interactions amongst Stroke Survivors and Caregivers ! We really hope and pray your being here lessens – even if in a small way – the trials and tribulations you may be facing either as a Stroke Survivor or a Caregiver – perhaps to a family member suffering with Stroke. We will also use this thread for introductions, for as long as is necessary. As for me, my name is Hardeep Sodhi and I am an Indian male, about 55 years old and presently residing in Delhi. I am the Administrator of this Website and am being assisted by wonderful people, some of whom you may find profiled in the Contributors Page. My interest in Stroke was rather forced on me out of the blue when my mother suffered a Stroke while being operated upon to reduce the risk of Stroke ! She was in a coma for 15 days and then became paralyzed completely on the left side. Inspite of the whole family’s best efforts, she never recovered and finally passed away in 2012. But she left behind memories – some happy, some not so. And experience of a system woefully inadequate to even explain Stroke, let alone deal with it. With support not even worth talking about. 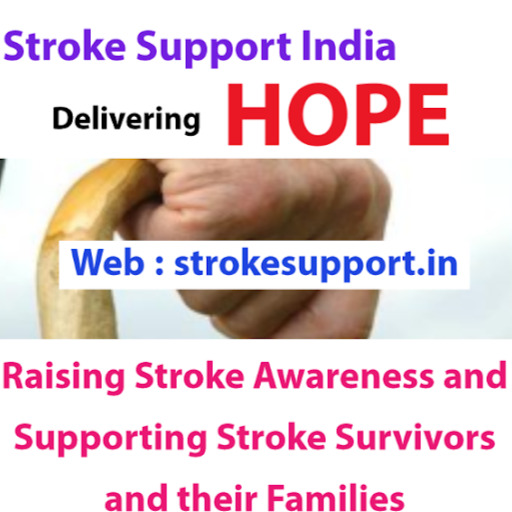 It is my dream to develop an enduring institution in India to support Stroke Survivors and Caregivers. This Website is a first and recent small step towards that . I hope to gather like minded people to help me along. If you would like to join in – by your efforts, ideas, time , knowledge, experience etc. – please do contact ! More will be added as required ! Generally, let us all be cordial and respectful . Feel free to add any Stroke related informations, links etc. but nothing else please ! Note that the Web is NOT private and you leave your phone numbers, e-mail ids etc. at your own risk ! Suggest you resort to Personal Messages for any for information and support, when required. All experience, opinions, views etc. on this Forum are of the persons expressing those. This is NOT a medically competent Forum / Website and neither intended to replace one. NO liability will accrue to us by any usage of any information provided here. My name is Jayson Killick and I am a 40 year old male Stroke Survivor. I am from Portland Victoria Australia. I had my Stroke in March 2010 at the age of 35, my stroke was classified as an Internal Capsule Stroke involving the mini vessels in the brain. I was paralyzed from head to toe spending 8 weeks in Warrnambool Base Hospital which is an hour from my home, during this 8 weeks I went through intense Physiotherapy, Occupational Therapy, Speech Therapy and rehabilitation 5 days a week for the 8 weeks. I am managed to recover to the point I was able to be discharged to home and continue my rehabilitation at my local hospital. Upon returning home I found there was no Stroke Support Group for me to have access to support, it was at this time I made it my mission to begin the Portland Stroke Support Group once I felt I was ready and on 04 March 2011 the Portland Stroke Support Group came alive with the first meeting and today we are still going strong. In 2012 I was invited by the National Stroke Foundation to become a StrokeSafe Ambassador which involves visiting community groups and schools to talk about my personal experience with StrokeSafe and teach thEm what a Stroke is, how to recognise F.A.S.T (Face Arms Speech Time) and what to do when someone is having a Stroke. I am now a strong advocate for Stroke Survivors, Carers and families by taking the fight for funding to the government and better services. In 2014 I was awarded the National Stroke Foundation – Improving Life After Stroke Award which I accepted with pride on behalf of all Stroke Survivors and Families.